Recommended Use: Take 1 tablet, one to four times daily. 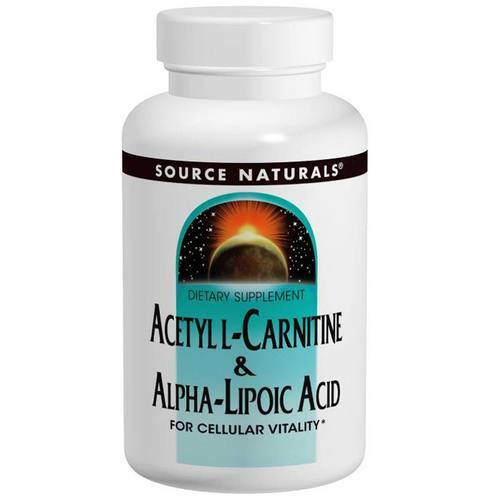 The customer reviews posted below are based on individual consumer experiences and may NOT necessarily represent what expected results will be from using or taking Source Naturals Acetyl L-Carnitine Alpha Lipoic Acid - 60 Tablets. These results may not be typical and you should not necessarily expect to receive the same results. Actual results may vary. I have noticed an increase in mental alertness and motivation, particularly at work, since I started taking this. This product seems to help my concentration. I fast once a week for health benefits and to maintain my weight and I use this product to increase my energy levels on these days when I'm not getting energy from food. The increase in energy levels when I take it is very noticeable. It also seems to reduce my appetite. I take it twice a day - morning and afternoon.